We’re all searching. Sometimes the search is easy: simply type a question and the answer pops up. But sometimes our questions are complicated, and the answers are difficult to see and harder to articulate. How do we discover and examine the truths that give meaning and purpose to life? 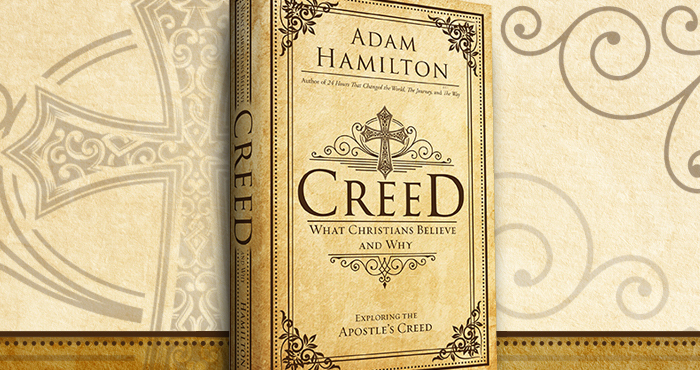 Our upcoming message series entitled “Creed” will be based on Adam Hamilton’s book “Creed: What Christians Believe And Why” which will also be available for purchase in the Westheights Church foyer. What evidence is there that God exists? Does it really matter, one way or another? What do Christians believe about Jesus? And why do they believe this? Who is the Holy Spirit, and what does the Holy Spirit do? What does the Apostles’ Creed mean when it says “holy and Catholic” when it comes to the church? What differences does it make if your sins are forgiven, and why does it matter anyway? What is the resurrection of the body, and what does life everlasting mean? For the next several weeks, beginning February 11, our Sunday messages will explore these questions, unpacking our faith, understanding what we believe and why it matters. And as we do that, your faith will be deepened, you will be equipped to share your faith with others, and you will be called by Christ to live out your faith in such a way that it changes the world.